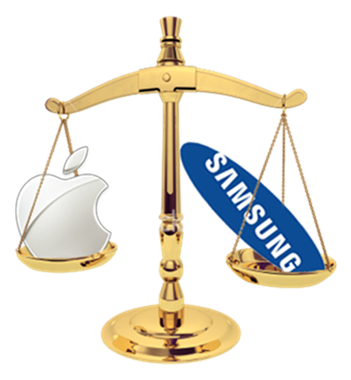 The long-standing patents dispute between Apple and Samsung appears to have reached its climax, as the two take their battle to the U.S. Supreme Court, where the two tech-giants will argue tomorrow how much of a $399 million patent infringement award Samsung must pay, Bloomberg is reporting. While Samsung claims that the award is a “disproportionate” sum for infringement of Apple’s design features, Apple says the full award is warranted given Samsung’s “blatant copying” of its iconic iPhone. Samsung urged the Supreme Court to take up the appeal saying that “the ruling was akin to awarding the entire profits on a car because of an infringing cup-holder”. Apple on the other hand rejects Samsung’s analogy, saying that “its patented features are more like the design of the entire car”. Apple further says that Samsung has failed to show that the patented designs applied only to part of its phones. The case “has essentially now devolved into a dispute over what party showed what at trial and who bears the burden of proof,” said Kannon Shanmugam, a Washington lawyer who filed a brief backing Samsung on behalf of companies including Facebook Inc. and Google Inc.
Apple’s design patents cover the rounded corners of its phones, the rim that surrounds the front face and the grid of icons that users view. A federal appeals court upheld the award, saying U.S. patent law lets Apple recoup Samsung’s total profit from the phones, and not just the part attributable to the copied design. Samsung has already paid Apple $399 million, plus another $150 million for infringing a patent on “pinch to zoom” technology, although both sums combined are much less than the more than $1 billion a jury initially announced against Samsung.